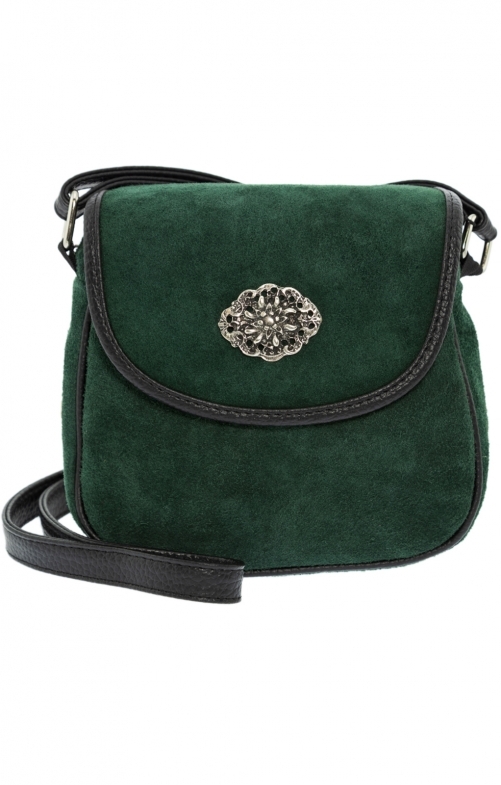 Delicate ladies accessory with suede shoulder strap. The traditional purse made of suede from Schuhmacher in the colour pine crowns the exquisite style of tradition-conscious costume wearers. The eye-catcher is a metallic decorative element, which elegantly complements the feminine traditional look in the alpine edelweiss design. Equally tasteful is the harmoniously nuanced piping made of smooth leather. Indispensable security is provided by two locking mechanisms.